I need to mow the lawn. Badly. But, I need a part and it is on order. So, on this overcast day during a spring that seems to be swinging between opening and closing the windows along with turning the furnace on then off, I can't think of a better time to clear out some pics of a little comfort food to get me through the impending rain. 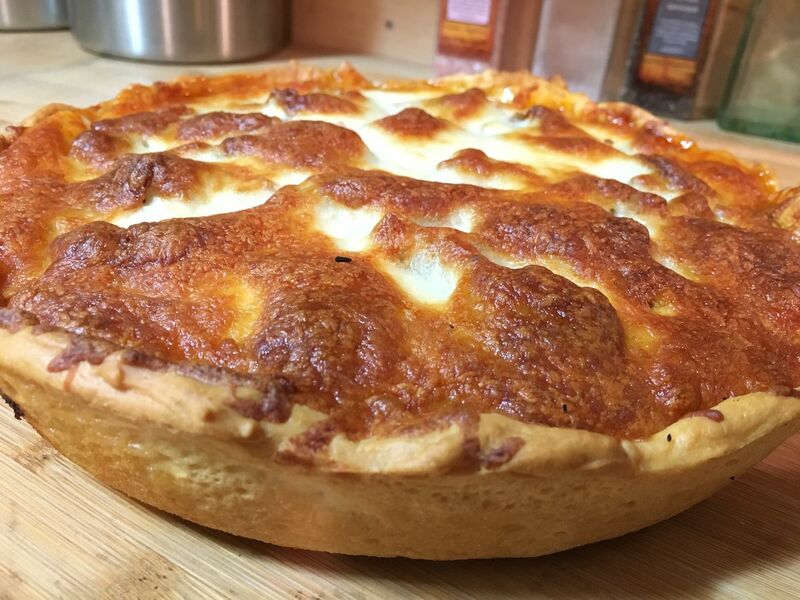 Deep Dish Pizza. 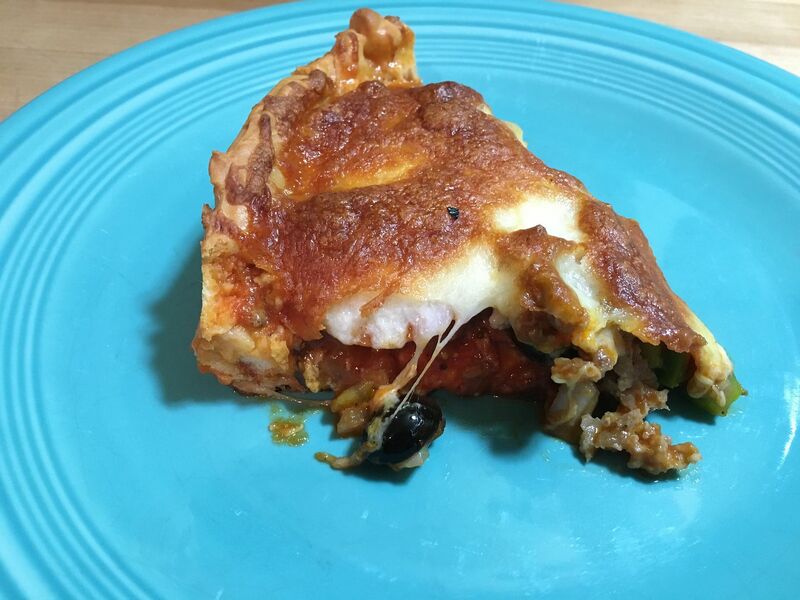 I had been meaning to try this dish for quite some time and as luck would have it, the leftovers in the refrigerator aligned themselves perfectly for a pizza pie. We had some leftover meatballs, spaghetti, sauce, and cheese. 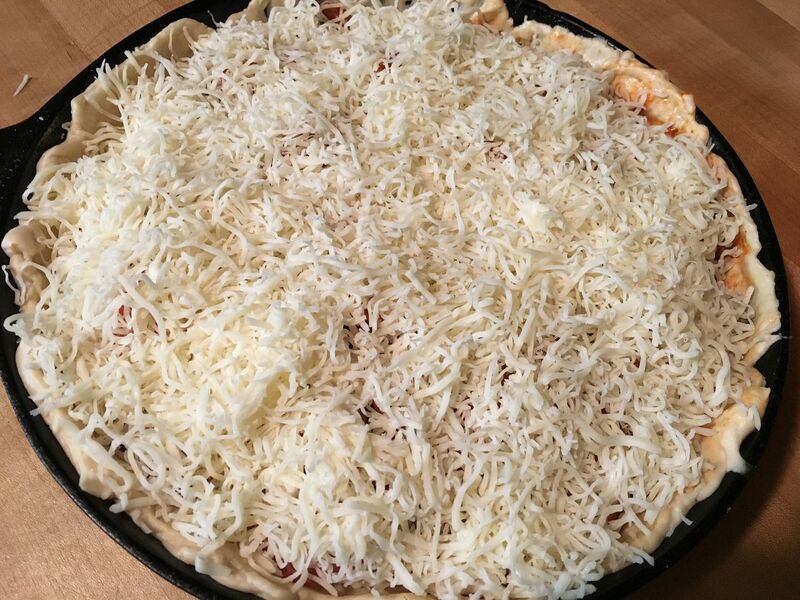 Time to make a deep dish pie for the first time. Perfect comfort food for a cold winters night. First, Hope ran a batch of pizza dough through the bread machine. 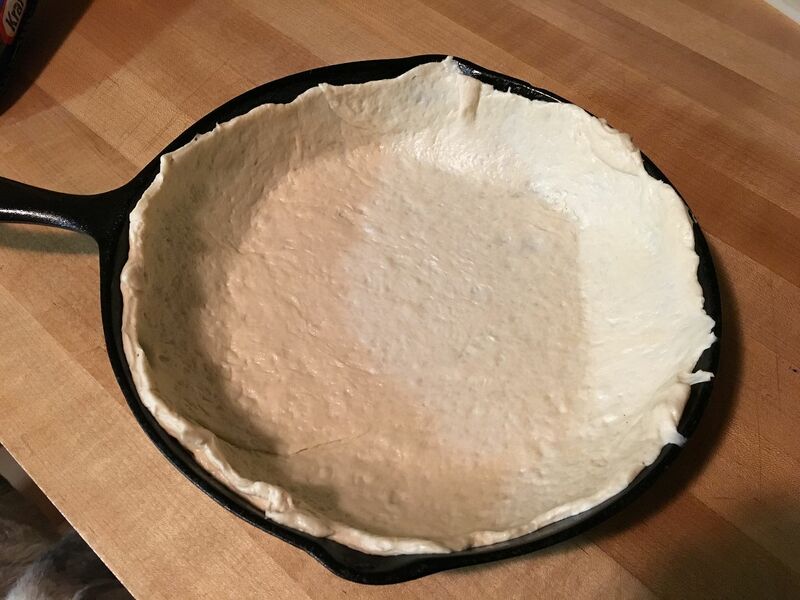 Then, I pulled out my trusty Griswold #10 and Hope spread about half of dough in the skillet. Let the layering begin! 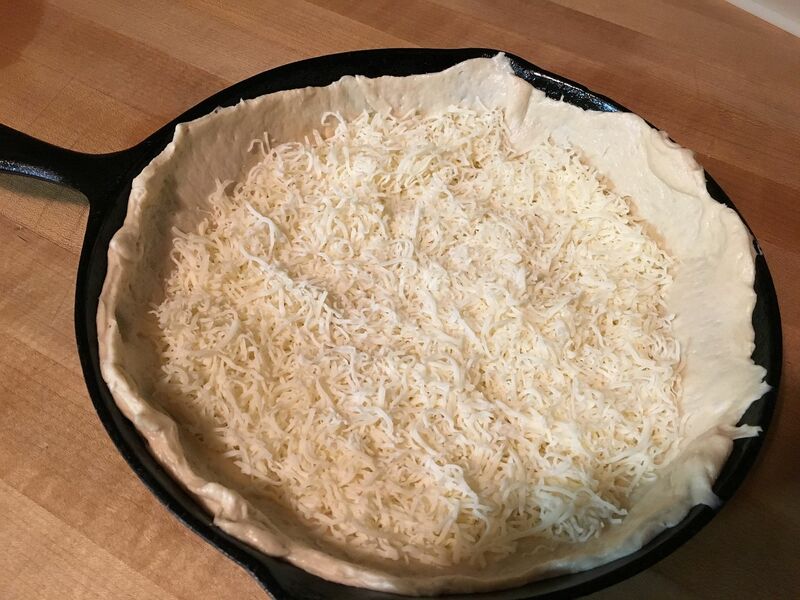 I threw the skillet into an oven preheated to 450 F and baked until the crust was brown and the cheese was nice and bubbly. Total bake time was about 20 minutes. The moment of truth. Would it stick? Properly seasoned cast iron? I got this. No problem. 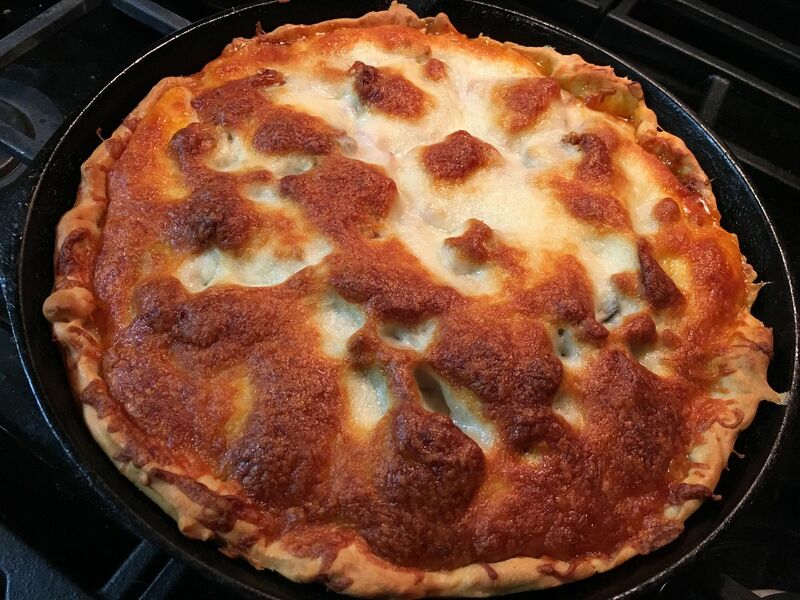 This pie slid out of the cast iron. We sliced it up and dug into this feast. Why had I not tried this earlier? I don't know, but we will be trying this again in the future. I think I see a use for some leftover competition pulled pork. More on that later. Wow, that looks fantastic. I have made a new/old discovery of Dutch Oven Liners. They work great if you are concerned with sticking. Parchment paper cut to size works great. 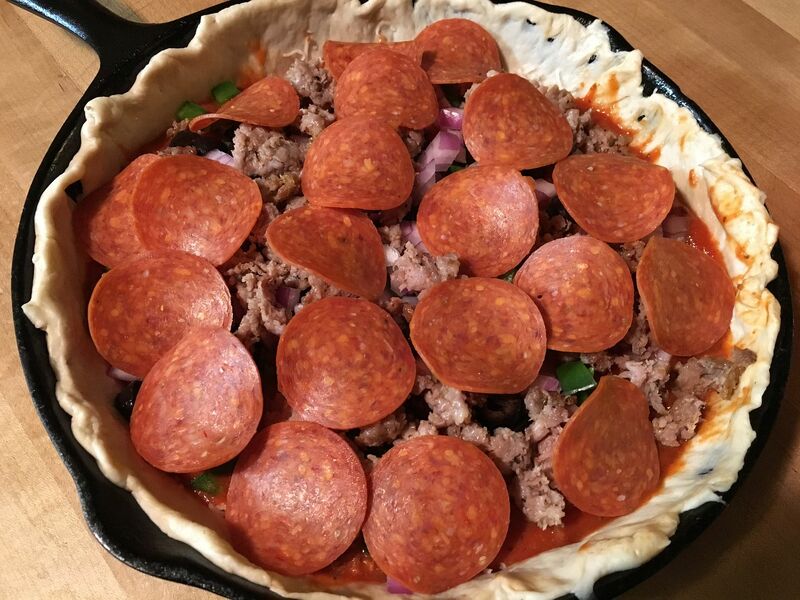 Chilebrown, how do you think they would work for spreading out pizza dough? They are perfect for any bread applications. You can always add a drop or two of oil to help. I am sold on the concept.